Charles was Wilkie Collins's younger brother. 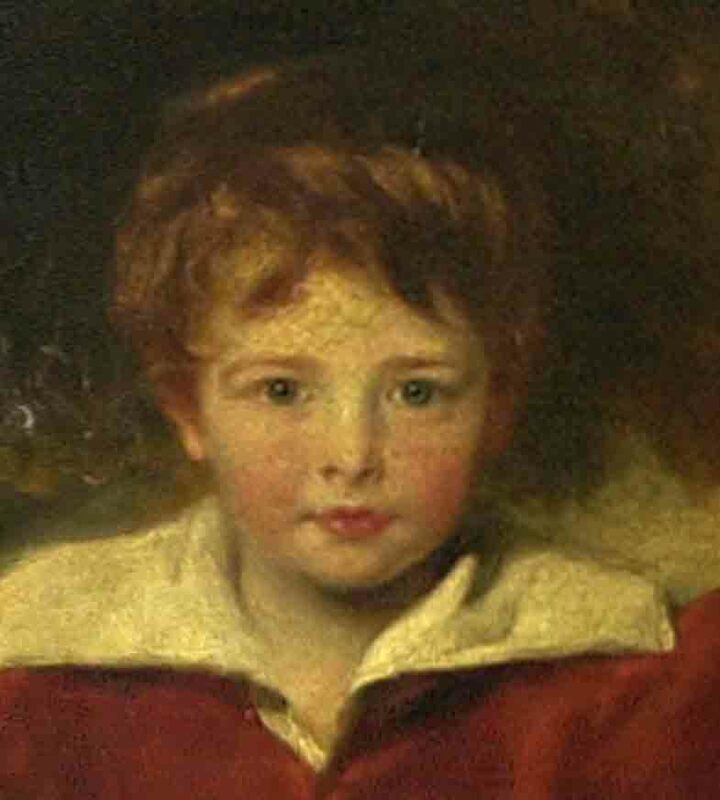 He was born 25 January 1828 at Pond Street, Hampstead, and named after his father's American painter friend, Washington Allston. Tall and good-looking with red hair and blue eyes, Charles was unlike his brother in character as well as appearance, although they remained close throughout their lives. Charley, as he was known to family and friends, inherited his father's nervous temperament as well as his artistic ability, and suffered from a chronic lack of self-confidence, exacerbated by religious scruples. He never shared the youthful zest for life that was so marked a feature of his brother although as a boy he enjoyed skating and later became a good dancer. He also participated in Wilkie's amateur theatricals, playing the lead in A Court Duel. In 1843 he became a student at the Royal Academy Schools, where he was a contemporary of Millais and Holman Hunt. He was associated with the foundation of the Pre-Raphaelite Brotherhood although to his great chagrin never admitted to full membership. Nevertheless, he was attacked in the press for Convent Thoughts, the Pre-Raphaelite painting he exhibited at the Royal Academy Summer Exhibition of 1851. Charles Collins was said to have been hopelessly in love with his model for Convent Thoughts, Maria Rossetti - the sister of Christina, William and Dante Gabriel Rossetti. Maria did not return his feelings and became a nun in an Anglican order. In about 1856 Charles seems to have become entangled with an 'unsuitable' woman of unknown name. John Millais begged Holman Hunt to persuade Charles to give her up. In 1858 he abandoned painting, which he found an increasingly stressful occupation, after struggling for months with The Electric Telegraph. He had enthusiastically begun this work on a modern subject but came to feel, quite irrationally, that it plagiarised Millais's ideas. He turned instead to writing. He contributed individual articles to Household Words, and three series to All The Year Round all later published in book form as A New Sentimental Journey (1859), The Eyewitness (1860), and A Cruise upon Wheels (1863). He also wrote three novels: Strathcairn (1864), The Bar Sinister (1864) and At The Bar (1866). Charles Collins married Dickens's younger daughter Kate on 17 July 1860. For her going-away dress the bride wore black and Dickens, who felt the marriage was a disaster, was discovered afterwards sobbing into her wedding-dress. There were rumours, believed by the Dickens family, that Charles was impotent. There were no children of the marriage and Kate later said she wished to obtain a legal separation and could have done so, but that her father would not allow it. In the last ten years of his life Charles Collins was plagued by emotional problems, as well as physical illness finally diagnosed as stomach cancer. In 1870 Dickens asked him to draw the illustrations for Edwin Drood but he was too ill to complete more than the cover of the first number. Charles died on 9 April 1873. Wilkie Collins wrote the entry for the Dictionary of National Biography.